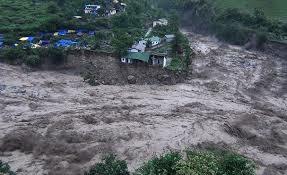 Flash floods in Uttrakhand which have killed hundreds,made homeless to thousands and made losses of lacks in that region again exposed our preparedness for natural disasters. Government sources said that it will take around three years for life to be back to normal there,thousands still are missing and search operations are still running. This is not the first time that flash flood has hit Uttarakhand,it's a yearly phenomenon only difference this year is that it's too early and more intense. It also open our eyes to the threats posed in altering our natural landscapes by building excessive roads and houses by cutting mountains and trees. Even after having a National Disaster Management Authority( NDMA) we failed in early flood forecasting and our after disaster arrangement also lacked preparedness.To minimise the effects of such disasters there is a need for better weather equipments and expertise to deal with such situations. 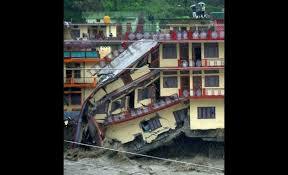 There should be proper alarm systems to alert people in such flood prone areas. 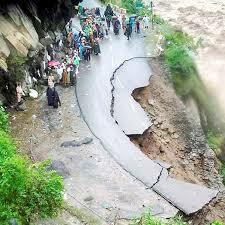 The other side of this issue is that several state governments have rushed to the rescue and aid to the affected area as pilgrims and tourists stranded hailed from all parts of the country,many state governments had announced financial aids to Uttarakhand along with the central government and also helping in rescue operations. May God help those who are stranded and missing. There is also a need for a planned development strategies according to the geographical area so that we may not interfere with stable natural conditions. We're still at nascent stage with regard to Disaster Management'. We resort to fire-fighting than taking preventive measures. 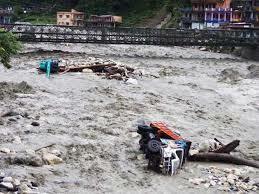 My heart goes to those who lost their precious lives in the flash floods.